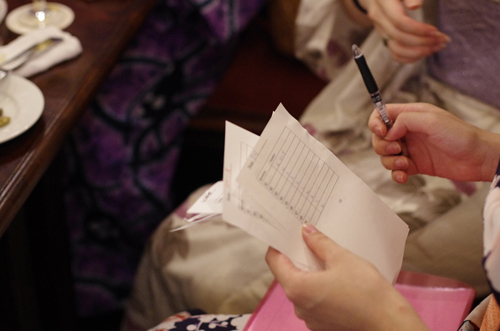 Click here Yukata party vol.1. 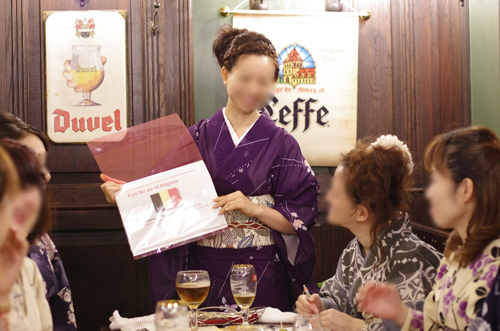 Continued from the previous report, it is Belgium quiz time! Let’s take a look at what kind of quizzes we had. (1) Which country did Belgium became independent from in the 19th Century? (2) GODIVA is famous for its chocolate. Where is its birth place? (3) How do you say “Japan” in Dutch? (4) What do you call beer made in Trappist monasteries? (5) “The Geographer” was painted by Vermeer. What kind of clothing is the man wearing? 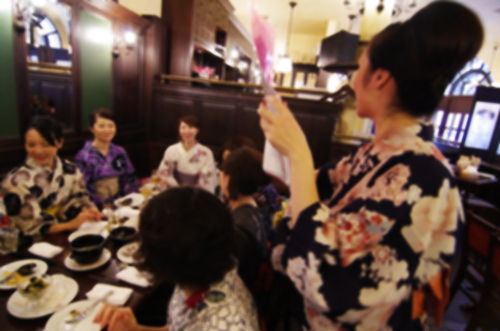 The answer to the last question is Kimono. Now, International Vermeer and Vermeer-Related Events were held in Tokyo at the Metropolitan Art Museum. In addition, Belgium became independent from the Netherlands in the 19th Century. It is said that the Japanese Kimono was popular in the Netherlands and Europe around the 14th Century and many artists completed paintings of persons dressed in Kimonos. Answer check….! Who answered all quizzes perfect?! What presents did they get? a special coupon in a gift bag which is given to them at the end of the party. We listened to a brief lecture and learned that Belgium beer is very profound! This one. Do you see the differences of its shapes? We have to select the glass with beer brand. 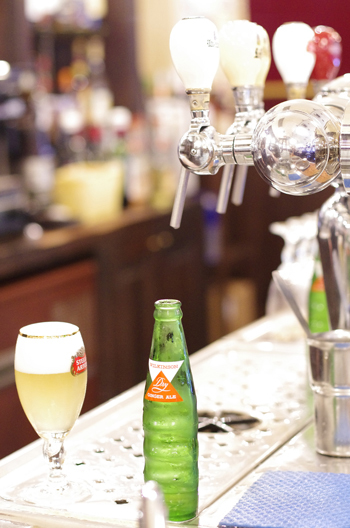 Belgium beer is sold with a particular type of glass and to drink it in any other kind of glass is incorrect. 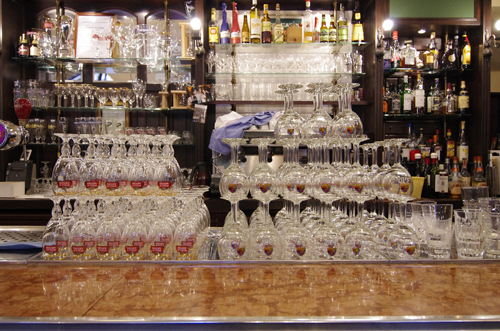 How many gorgeous glasses sit on the kitchen counter! 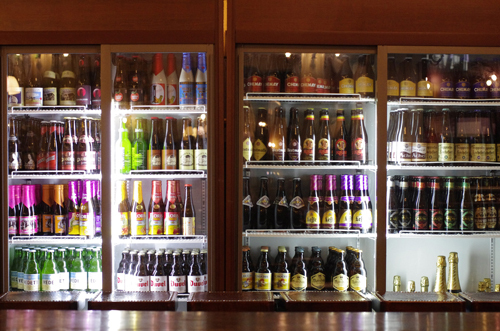 There are more than 800 beer brands, and there are beer kinds such as wine beer. 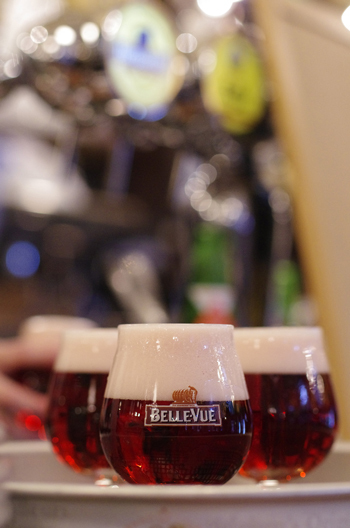 If you have the opportunity, why don’t you try and enjoy drinking Belgium beer?